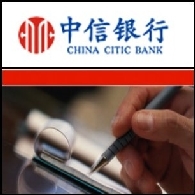 China CITIC Bank Corporation Limited is a China-based commercial bank. The Bank provides retail banking services, including bank card services, personal financing, financial service for traveling and study abroad, personal loans, stock investments, foreign exchanges trading, fund investments, asset management services, personal savings, personal settlements and remittances, among others; corporate banking services, including account settlements, financing services, trading services, cash management, investment banking, asset management, international settlements and trade financing services, among others, as well as credit card services. 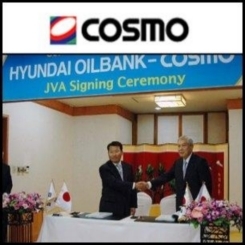 The Bank also offers online banking services and automatic teller machine (ATM) services. In October 2009, the Bank acquired 70.32% interest in Citic International Financial Holdings Limited. 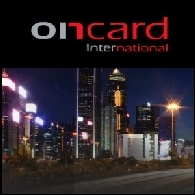 تقرير السوق الاسترالية ليوم 6 كانون الثاني/يناير، 2011: وقعت شركة OnCard ASX:ONC اتفاق تعاون معCitic Bank SHA:601998 HKG:0998 لتسويق نوادي بوفيه Buffet Clubs. تقرير السوق الاسترالية ليوم 6 كانون الثاني/يناير، 2011 يشمل ما يلي: وقعت شركةOnCard International Limited ASX:ONC اتفاق تعاون مع Citic Bank SHA:601998 HKG:0998 لتسويق نوادي البوفيه Buffet Clubs. اعلنت حكومة جنوب استراليا عن منح مشروع شركة Centrex Metals Limited&apos;s ASX:CXM لانشاء مرفئ مياه عميقة صفة مشروع رئيسي. تلقت شركة Clough Limited ASX:CLO رسالة نوايا من اجل مشروع CACT في المياه الصينية. زادت شركة China Magnesium Corporation Limited ASX:CMC من حصتها في مشروع Pingyao لاستخراج المنغنيز لغاية 90.7%. أقفلت سوق الأسهم الأمريكية ليل أمس على وقع إرتفاع جاء أكبر من المتوقع في مبيعات المنازل القائمة في نوفمبر. وقد ارتفعت نسبة مبيعات المنازل القائمة 7.4 في المائة، وهي بذلك إرتفعت بأكثر من ضعف ما توقع الإقتصاديين. تجاهلت أسواق الأسهم الآسيوية خسائر وول ستريت وافتتحت معظمها على إرتفاع اليوم الإثنين.